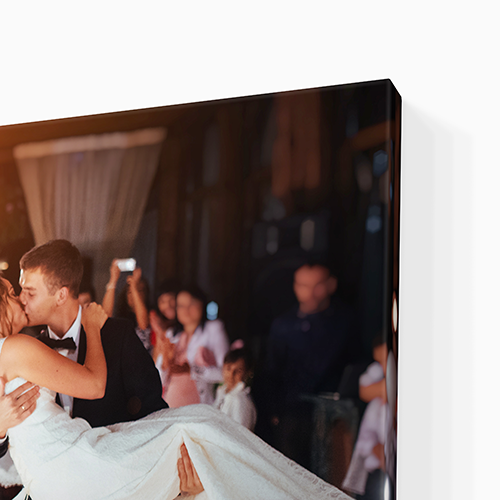 Conquer the great outdoors with Helloprint's Waterproof Canvas Prints! Create your very best outdoor wall decor personalised to fit your home or workplace. Print beautiful sceneries or heart-warming memories onto UV-printed banner material that is waterproof and allows for long-lasting colours (even after some sun). With a sleek 2cm frame of preserved wood, your garden just got some much needed attention! Keep 10 mm safety margin. Sorry! We cannot deliver to this post code. Please choose a different mainland address. Please insert your post code so that we can exactly calculate your delivery time. This counts especially for remote places. Great! We can delivery to that post code. To guarantee this delivery date, your artwork & payment need to be received and approved before 01:30pm on Tuesday April 23 . Easily upload your artwork and get your printproof after completing the order. You can upload your artwork after completing your order and we will create a print proof for you to approve. Rest assured that any public holidays have been factored into your delivery schedule. To guarantee this delivery date, your artwork and payment needs to be received and approved before 01:30pm on Tuesday April 23 . Uploading your artwork, how does it work? At Helloprint you never have to worry about your artwork. After placing your order you can easily upload your artwork. Our professionals will always make sure that your design is perfect. Your order will only go into production when you are completely satisfied. To guarantee the delivery time, your artwork and payment needs to be received and approved before 01:30pm on Tuesday April 23 . Keep all important text and images at least 10 mm away from the edge of the finished size. 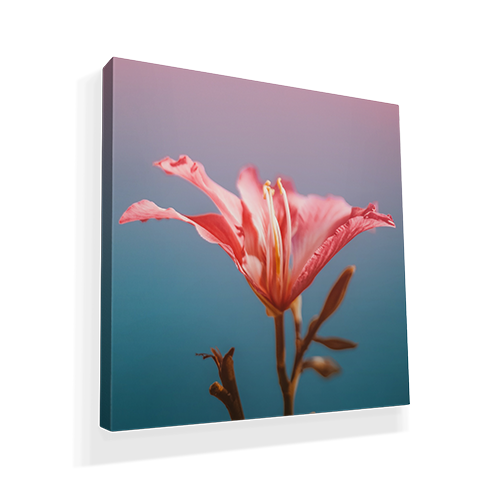 Waterproof canvasses are one of the most sold products in our product range and are very popular as garden decoration and even as marketing materials. The print is stretched on a wooden frame, and it can be mounted on the wall using the supplied mounting kit. To make sure that your order is delivered at the indicated time, it is important that we receive your file with your design for the product, on time (also called cut-off time). In this way the product can be put into production on time. The deadline is always communicated in the yellow bar on the product page, above the "Add to shopping cart" button. The cut-off time for your printed item may vary. This depends on the combination you choose. This has to do with the manufacturing technique and / or the order quantities. UV-print: the printing is fulfilled with eco-friendly ink which is cured by means of UV light. This technique is also used by dentists for placing a filling. Curing ensures that the quality is clear and the colors are printed sharp. For the delivery of your waterproof canvas prints we use multiple carriers. Because of the highest reliability, in most cases we use UPS or DPD. 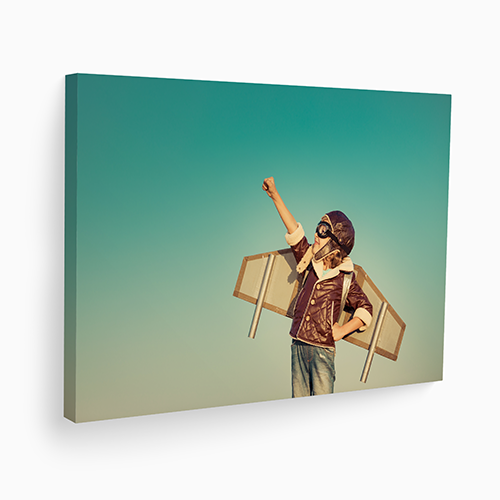 The waterproof canvas prints that is chosen in most cases can be selected via our website. 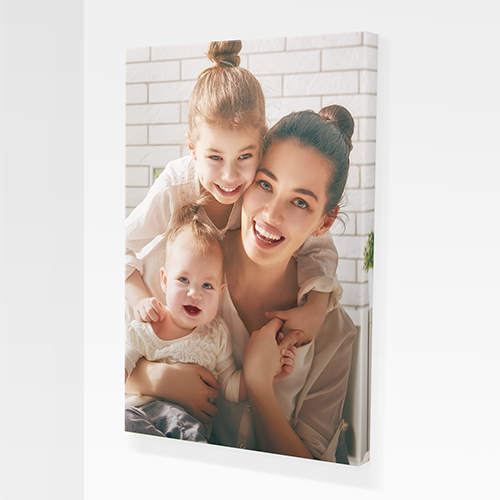 Is photo on canvas delivered with a suspension set? Yes, we always deliver a suspension set with it. These are very convenient to use and have a hooked edge so that it is very simple to hang your canvas right. What type of material are Waterproof Canvas Prints made? 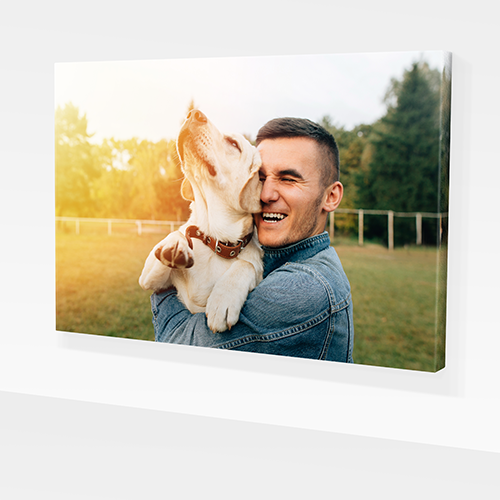 Waterproof Canvas Prints are made of PVC banner material also called Banner 510 and 2x2cm treated wood.